Ice cubes made from colored water. 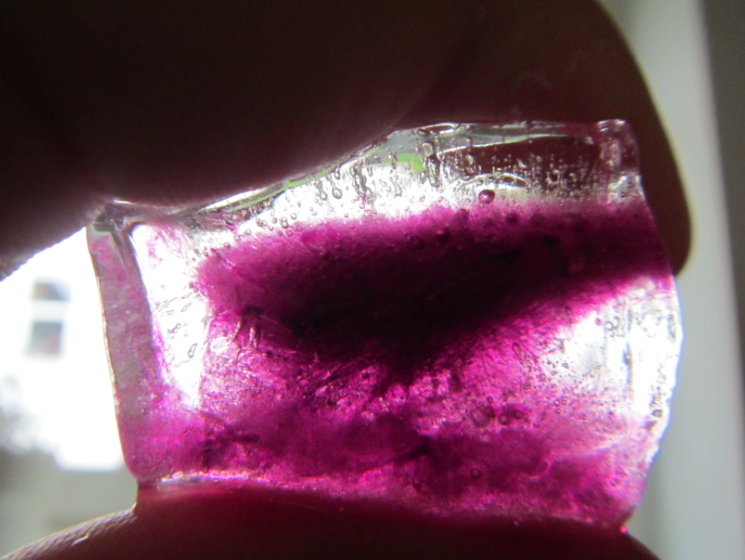 The dye has frozen out of most of the ice and been concentrated in the middle of the ice cube. Clearly, when forming, the ice crystals have been rejecting the dye! 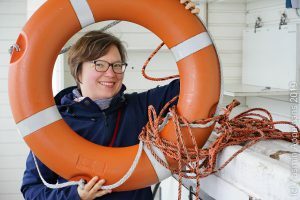 In the ocean, due to cooling happening from above, ice would freeze downward from the surface, under the influence of gravity the brine channels would be vertical, and brine would be released in the water underneath. In my freezer, however, cooling is happening from all sides at once. 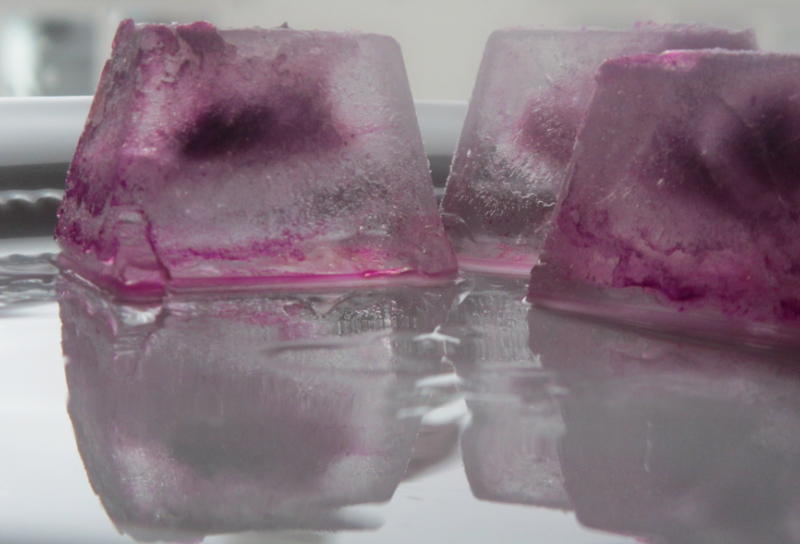 There is a tendency for the dye to be rejected towards the bottom of the ice cube tray under gravity, but as ice starts forming from all sides, the dye becomes trapped and concentrated in the middle of the forming ice cube. Can you see the little brine channel leading to the blob of color in the middle? I must say, when I first took the ice cubes out of the freezer I was pretty annoyed because they weren’t homogeneously colored. But now I appreciate the beauty of the structure in the ice, and you can bet I’ll try this again with bigger ice cubes! This entry was posted in demonstration (easy), hands-on activity (easy) and tagged hands-on activity, ice, oceanography, salinity, sea water, teaching on September 2, 2013 by mglessmer.